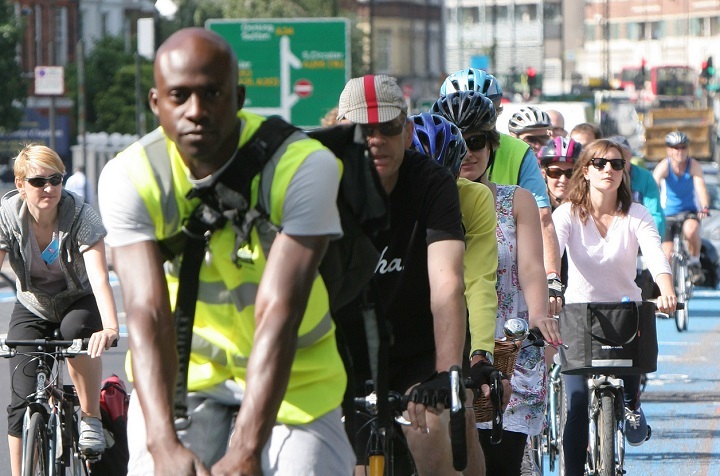 The Government has no intention of introducing compulsory licencing and insurance for cyclists, a Tory peer has told the House of Lords in a recent debate on the subject. The idea was first mooted in 2018 during a safety review of the Government’s Cycling and Walking Investment Strategy. However, the DfT concluded that the cost and complexity of introducing such a system would ‘significantly outweigh the benefits’. The review added that a registration and licensing system would deter people from cycling, having a knock-on effect on associated benefits such as improving health, tacking congestion and improving air quality. However, the subject was raised once again by Labour peer Lord Winston on 18 March, who told the House of Lords that an increasing number of cyclists are ‘extremely aggressive’. Lord Winston said: “Of course, most cyclists are conscientious and law-abiding. This sentiment was echoed by fellow Labour peer Lord Wills, who expressed concerns over ‘hoodlums in lycra’. Lord Willis said existing measures to punish poor cycling behaviour were not being used. He cited a FOI request showing that, of the 38 police forces who issue fines to irresponsible cyclists, 30 issued fewer than five last year and 12 of those issued none. However, Tory peer Lady Barran dismissed the idea, saying that only a ‘small minority’ of cyclists cause danger on UK roads. Lady Barran said: “The Government obviously wants to reinforce safety for all road users, particularly those described as vulnerable road users, including pedestrians and cyclists. Lady Barran received support from fellow Tory peer Lord Robathan, the former chairman of the All Party Cycling Group. Cyclists can and do cause injury to pedestrians – not ‘an insignificant amount of damage’ – and unless they do the right thing and stop at the scene and give details, they can get away with it because they are unidentifiable and untraceable. If the Government are keen to promote more cycling, then they need to think about licensing properly for use on the road with some sort of registration number on the bicycle itself. Some people are aggressive and break the law. Sometimes they cycle. However, I have always felt safer when in the vicinity of such road users if they are on their bicycle rather than in a car or on a motorbike. That’s when their aggression becomes really dangerous. So next time you see a person behaving irresponsibly on a bicycle, maybe just be pleased that he/she is cycling and not driving. Andrew, the point isn’t that cyclists don’t break the rules, it is that even though they (possibly most of them) regularly do, it causes an insignificant amount of damage. As to enforce the rules would be impossible and futile and very costly to try – and would deliver next to no safety benefit – it is therefore pointless. The same applies to motoring and motorists of course, but the political decision has always been that, despite the lack of safety benefits, motoring should be heavily regulated and motorists should be heavily penalised. Having already declared that there is no serious problem with offences committed by cyclists, Lord Robothan suggests that enforcing the regulation would keep the police busy for 100 years. Which is correct? If the majority of cyclists reallly do follow regulations, why so much extra work” Motorists, law abiding or not, require licensing and insurance, so should any other road users.